Can we hope for a better society? That is the animating question behind an ambitious project, the International Panel on Social Progress (IPSP). Inspired by Amartya Sen, the project is modeled after the Intergovernmental Panel on Climate Change (IPCC) and is guided by a scientific council and a steering committee. It exists to “harness the competence of hundreds of experts about social issues” and to “deliver a report addressed to all social actors, movements, organizations, politicians, and decision-makers, in order to provide them with the best expertise on questions that bear on social change.” Also modeled on the IPCC, drafts of the chapter reports are now available for public comment. Prompted by David Smilde, this is our invitation to the readers of The Immanent Frame to join that conversation. The assembled IPSP teams of experts are examining issues of sustainable economy, social inequality, democratic governance, and health and education, as well as the cultural and religious practices that run through them. Challenged to act as coordinating lead authors for Chapter 16- Religions and social progress, initial decisions about our approach were crucial. Right from the start we put aside the notion that social progress requires either the elimination of religion (a sentiment not altogether absent among IPSP participants), or the strengthening of it. We were also wary of a primarily theoretical analysis. Instead we resolved to approach our task with a definition of religion that would encompass contextualized lived realities, leaving open the question of whether and under what conditions religious beliefs, practices, leaders, and organizations may facilitate or impede social progress. That required that we assemble a team of lead authors with deep empirical knowledge of a wide range of religious and spiritual traditions in an equally wide range of the world’s regions: Samia Huq, BRAC University, Bangladesh; Lucian Leustean, Aston University, United Kingdom; Tarek Masoud, Harvard University-Kennedy School, United States; Suzanne Moon, University of Oklahoma, United States; Jacob Olupona, Harvard Divinity School, United States; Vineeta Sinha, National University of Singapore; David Smilde, Tulane University, United States; Linda Woodhead, Lancaster University, United Kingdom; and Fenggang Yang, Purdue University, United States. We were assisted with global demographic data and graphics by Gina Zurlo, Boston University, United States. Meeting in Istanbul, Turkey in 2015 and in Uppsala, Sweden in March 2016, and via Skype and email in between, our team identified key areas where the role of religion is critical: family, gender, and sexuality; difference and diversity; democratic governance; conflict and peace; everyday wellbeing (economic security, health, and education); environmental threats; and human rights. Each of the resulting sections of our draft chapter is driven by a rigorous review of the best evidence available assessing both the challenges and opportunities religious institutions, professionals, and practices pose for progress. Each section—and the chapter as a whole—also ventures some advice to policymakers. We start from a premise that by now should not be controversial: Religion cannot be ignored in the search for a better society. Roughly eighty percent of the world’s population affirms some kind of religious identification, a proportion that is growing rather than declining. We argue, therefore, that researchers and policy makers pursuing social progress will benefit from careful attention to the power of religious ideas to motivate, of religious practices to shape ways of life, of religious communities to mobilize and extend the reach of social change, and of religious leaders and symbols to legitimate calls to action. On grounds of both prevalence and mobilizing power, religions cannot be ignored. Their power, of course, can be put to either good or ill, and the specific role that religions will play must be assessed not in general, but in specific contexts. That will require that policy makers gain cultural competence relative to specific religions and learn to make strategic assessments of the potential contributions of specific religious partners. Secular and religious partners may not agree on everything, but there may be common ground. Our chapter echoes a claim that informs other chapters produced by the IPSP, namely, that for many people, religion is in itself a cultural good. In many places, individual and social fulfillment is intimately connected to the ritual life of society. Social progress must therefore include societal spaces in which individuals and collectivities can be free, if they so choose, to pursue religious ends. We go on to argue that religious communities can be places of valued solidarity and mutual esteem, partners in providing for the wellbeing of the community, as well as agents of beneficence and generosity. We also describe the reverse: the ways in which religious institutions, professionals, and practices can be impediments to basic principles of equal dignity, justice, and freedom. They often stand in the way of women, limit freedom of expression and educational advancement, or restrict participation in democratic governing. The same mechanisms that create religious solidarities can also limit toleration and aggravate conflict. Assessing the degree to which these restricting conditions are present, as well as the degree to which religions can be an ally in social progress agendas, requires understanding local, embodied religious and social conditions. It also requires a wide lens to recognize the presence and effects of religion in society, along with a studied commitment not to prejudge either the necessary benefit or the necessary harm of religious ideas, practices, and communal engagements. We note, moreover, that the moral deliberation and ritual reinforcement that take place in religious communities are sometimes at odds with ideas about social progress that come from outside experts. Religious traditions and religious authorities can and do block needed changes that would increase the larger flourishing of a community, but secular experts also ignore valuable allies when they dismiss local religious organizations and leaders. The twin themes of critical assessment and strategic partnership are, then, the thrust of our attempt to set out a framework for thinking about religions and social progress. Beneath our deliberations lies a crucial assumption: the very notion of progress implies a sense of meaning and purpose that has, even if unstated, a moral valence. Thus, understanding and furthering social progress is not simply a matter of finding the right technological formulae: Imagining what a society could become requires reaching beyond current reality, beyond the self, beyond the mundane everyday world. There are many ways such moral deliberation and transcendent imagination can be fostered, but for much of the world’s population, religious communities and religious rituals are the critical spaces in which the very parameters of progress can be debated and given moral grounding. This is a challenging endeavor. It has required all of us as authors to stretch beyond our own areas of expertise to find the right questions to ask. It has required us as social scientists to venture into the world of policy. And it has required us to avoid both the impulse to despair and disparage and the impulse to laud uncritically. 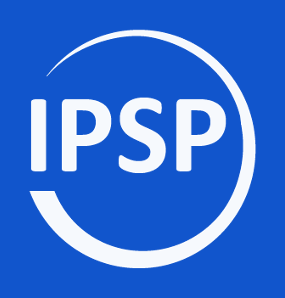 We are confident that there are places where our efforts in each of these areas will be sharpened by the public comment of our colleagues either on The Immanent Frame or the Commenting Platform of the IPSP. To read Chapter 16, or the entire report, and provide critical commentary, please visit the IPSP commenting platform. Nancy Ammerman is Professor of Sociology of Religion at Boston University and has been writing about evangelicals since Bible Believers: Fundamentalists in the Modern World (Rutgers University Press, 1987) and Baptist Battles: Social Change and Religious Conflict in the Southern Baptist Convention (RUP, 1990). Her current research, funded by the Templeton Foundation, explores "Spiritual Narratives in Everyday Life."